Bosch SDS-max carbide-tipped rotary hammer core bits offer an integral shank for better power transmission. Maximum core size is 2-5/8-Inch deep. Bosch SDS-max rotary hammer core bits with wave design go beyond the range of standard bits and allow smaller hammers to drill larger holes. Core Bit, Core Bit Cutter Material Carbide, Bit Dia. 3-1/4 In., Drilling Depth 7 In., Overall Length 12 In., Shank Shape SDS Max, Thread Size -, Wet or Dry Application Dry, Application Concrete Drilling, For Use With SDS Max Rotary Hammer DrillsFeaturesThread Size: -For Use With: SDS Max Rotary Hammer DrillsDrilling Length (In. ): 7Size (In. 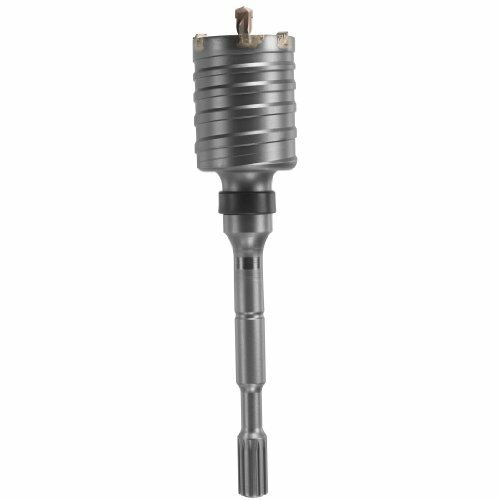 ): 3-1/4Application: Concrete DrillingItem: Core BitOverall Length: 12"
Bosch HC6521. . Features: Manufactured to ANSI standards, Bosch bits also meet and exceed ISO (International Standards Organization) standards. 98% of the carbide tips are molded to the specific ANSI size. Only 2% (specials) of all bit diameters are ground to size. 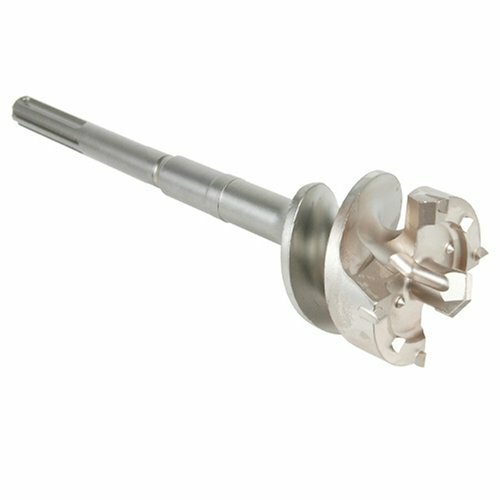 SDS-max rotary hammer bits not only fit Bosch SDS-max hammers, but also competitive SDS-max drive hammers and Hilti hammers using TE-Y and TE-FY shanks. One-piece thru-hole bits designed for fast working without the need to change shanks. The all-in-one core with SDS-max shank transmits power directly to the end of the bit. Additionally, thru-hole bits are economical due to their long life. Core Bit, Core Bit Cutter Material Carbide, Bit Dia. 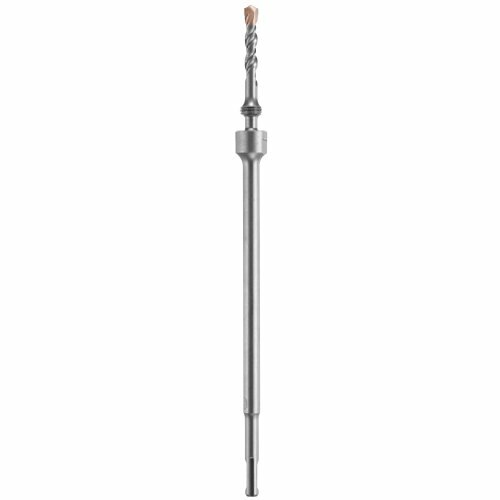 2-5/8 In., Drilling Depth 17 In., Overall Length 22 In., Shank Shape SDS Max, Wet or Dry Application Dry, Application Concrete Drilling, For Use With Bosch ToolsFeaturesThread Size: SDS MaxFor Use With: Bosch ToolsDrilling Length (In. ): 17Size (In. ): 2-5/8Application: Concrete DrillingItem: Core BitOverall Length: 22"
Steel Dragon Tools® 3-Piece 1.5-inch to 2.5-inch Dry Diamond Core Drill Bit Kit with Hex SDS Adapters and Case Steel Dragon Tools three-piece dry diamond core drill bit kit for drilling holes in block, brick, concrete, and other materials. Bit sizes included: 1-1/2 in. (38 mm), 2 in. (51 mm), 2.5 in. (63 mm).All core bits are 6-inches in length with 10 mm laser-welded split segments and 13/16-inch female threads. Includes 0.400 x 8 in. 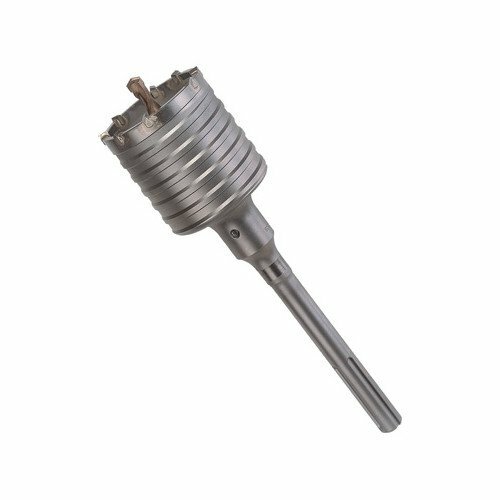 removable tapered pilot drill bit, SDS adapter with 13/16-inch male threads, hex adapter with 13/16-inch male threads, drift key, and aluminum carrying case.Steel Dragon Tools diamond core drill bits have a one (1) year warranty against manufacturer defect. 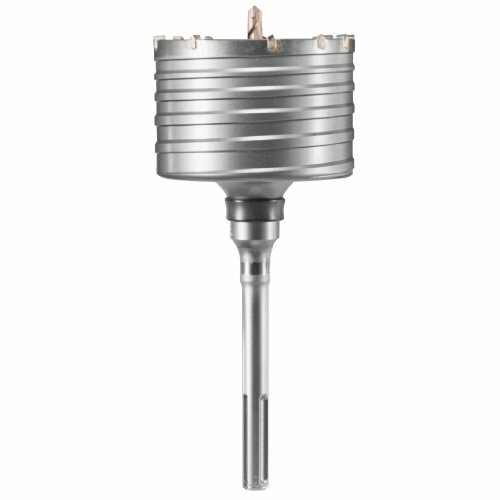 Factory conforms to ISO-9001-2000 Quality Control Systems and ISO-14001-2004 Environmental Systems.Specifications:Bit Sizes: 1-1/2 in., 2 in., 2-1/2 in.Drilling Depth: 6 in.All bits feature 13/16-inch female threads.1-1/2 in. x 6 in. 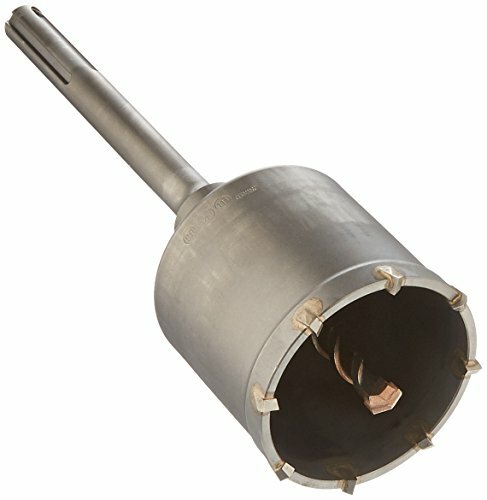 dry core drill bit with three (3) laser-welded split segments.2 in. x 6 in. 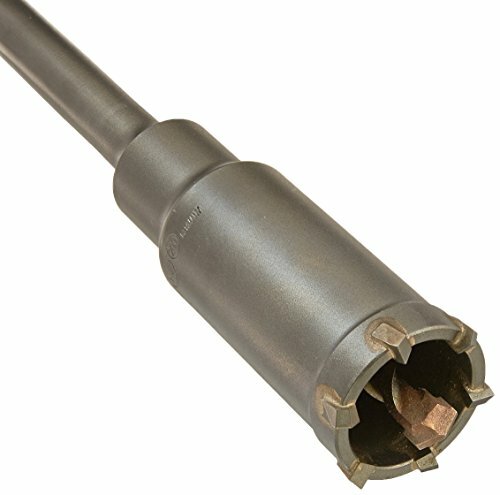 dry core drill bit with five (5) laser-welded split segments.2.5 in. x 6 in. 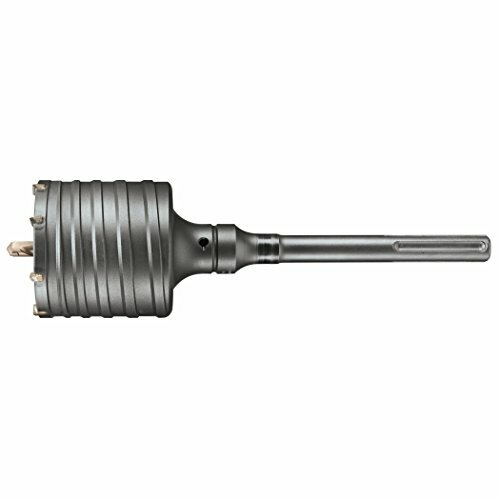 dry core drill bit with nine (9) laser-welded split segments.Extension Size: 8 in. x 1-1/8 in. 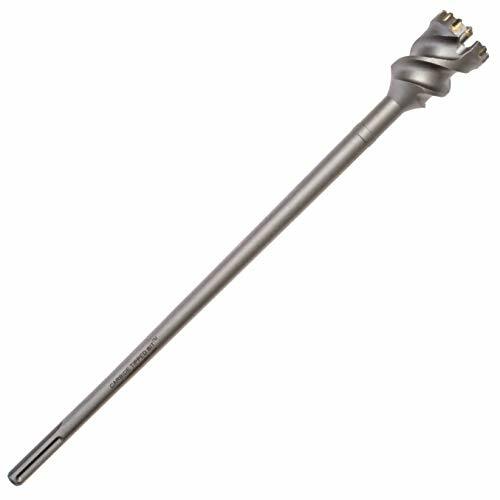 extension with 13/16-inch female threads.10 mm segment height for improved operating life.6-inch barrel height and 7-inch overall height.Removable tapered pilot drill bit (0.400 x 8 in. 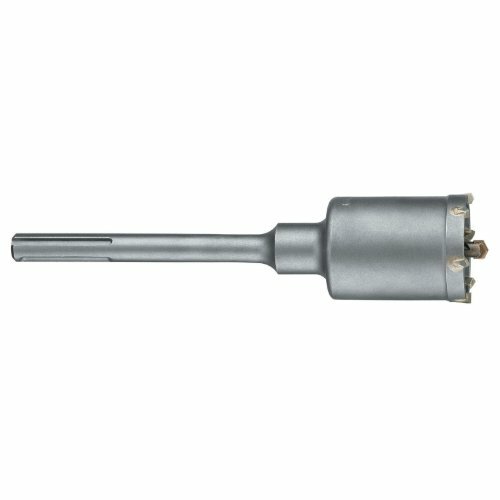 ).SDS adapter with 13/16-inch male threads.Hex adapter with 13/16-inch male threads.Includes drift key and aluminum case with foam to protect drill bits. This product is designed and manufactured by Steel Dragon Tools®. Steel Dragon Tools® products are backed by a one (1) year warranty against manufacturer defect.